In this post I am going to give my review on Wealthy Affiliate vs Affilorama, the reason why I am doing a comparison between both is due to the confusion people having in choosing the very best I used the word “very best” from that itself you can understand both are best. I am personally going to choose the very best among the two because being a member on both the sites won’t make sense. We need to choose one that needs to be the very best. Since both are focusing in helping people to teach for their online success we need to choose one. 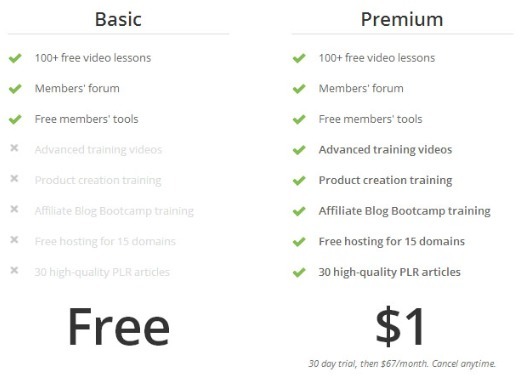 So many are thinking, which program is the best one for those willing to learn affiliate marketing and to learn and earn online both are genuine programs but for sure one is better than the other… To find out which is the best in my opinion you can read below and I am not going to give in detailed information because you can find that in my reviews on both programs. So I am just going to share the valuable points through which you can get your answer quickly. How Long In The Online Market? Both are in the market for a longer period Wealthy Affiliate founded by Kyle and Carson in 2005 and Affilorama was founded by Mark Ling in 2006 so both are genuine and lasting long in the online market. Many programs are not able to sustain for Weeks and Months and they suddenly vanish. There are 1000’s of such programs which claim they can help you teach you to succeed online but very few are genuine. Over 80,00,000+ (UPDATED 10,00,000+ on 11th January 2018) Internet Entrepreneurs in Wealthy Affiliate and Affilorama has grown to a membership of over 3,00,000+ (UPDATED 5,81,785+ on 11th January 2018) people worldwide. Wealthy Affiliate achievement is remarkable although one year in advance in the market compared to affilorama. People like you obviously check and do your own research in picking the best one, of course I do and many do the same. 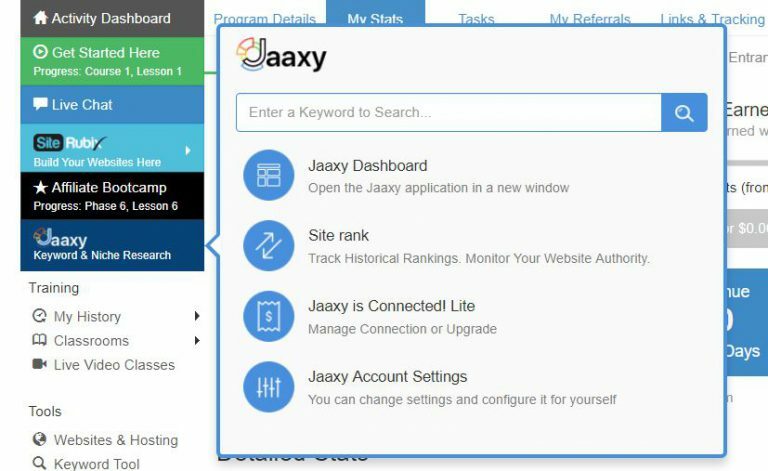 Although Kyle and Carson have Jaaxy but it is inter related with Wealthy Affiliate (UPDATE – Jaaxy has been included in wealthy affiliate for no additional cost which is a really great news, so now the focus is on just one WA) but Mark Ling has many products to focus that is one of the main reason you won’t see Mark Ling often answering and helping people in affilorama but that’s not the case in Wealthy Affiliate you will get answers from Kyle. Both providing a good and quality training. Both offers a easy step by step training but again Wealthy affiliate takes a lead because of some out dated training in Affilorama, which is given as warning by Affilorama itself see the below image. Wealthy affiliate training is up to date and they are improving it regularly. Wealthy Affiliate Weekly webinars are really helpful and Affilorama provides Monthly. Both provide helpful tools and Affilorama provides more tools compared to Wealthy Affiliate but the point is many of the tools and features are available in Google Analytics itself. Of all if Affilorama provides a unlimited keyword tool it would have been a greater help and Wealthy Affiliate offers a great keyword tool. Wealthy affiliate offers a Great Keyword and Niche Research tool included with the premium membership, previously they had it separately and need to pay for it but now they included with the premium membership without any additional cost. To be honest that tool is awesome and really helpful. Both provides good support to their members but with Affilorama sometimes you need to wait a bit i.e. your reply may be delayed but that’s not the case with Wealthy Affiliate they have a group of people called ambassador’s who reach out to help you in answering your doubts and questions. With Affilorama the live chat is limited but with Wealthy Affiliate it’s 24/7 so you will get answers for your questions within minutes. Both have a free membership which is always a very good thing, it will be a greater help for people to always try and see what they are going to get and whether it is worth to join and will it match there needs and expectations. In that part both are great. Also with Affilorama there are expensive upsells that too there is a product called AffiloJet Pack it’s $997 which is too expensive where as you can get nearly 3 years subscription of Wealthy Affiliate which is better service compared to Affilorama. Wealthy Affiliate yearly subscription is 349+15 for website =$374 yearly no more upselling. Based on the several aspects I have taken into consideration and analysis I will go for Wealthy Affiliate. To make it very simple if I am going to get a better service with $49 (Wealthy Affiliate) monthly instead of $67 (Affilorama) obviously I will opt for Wealthy Affiliate and that’s the reason I believe they have Over 800,000 (Update on 11th of January 2018 10,00,000+ members on wealthy affiliate) Internet Entrepreneurs in Wealthy Affiliate. Trust me the community is their (Wealthy Affiliate) strength its spam free with like minded people helping each other without any expectation. Both are genuine and good quality programs but Wealthy Affiliate is the very best compared to Affilorama. Very good review. It certainly pointed out the differences between the two. Your valuable comment means a lot to me, thanks for your time.